The Wall That Heals, an exhibit featuring a half-scale replica of the D.C. Vietnam Veterans Memorial, arrived in Metter today. 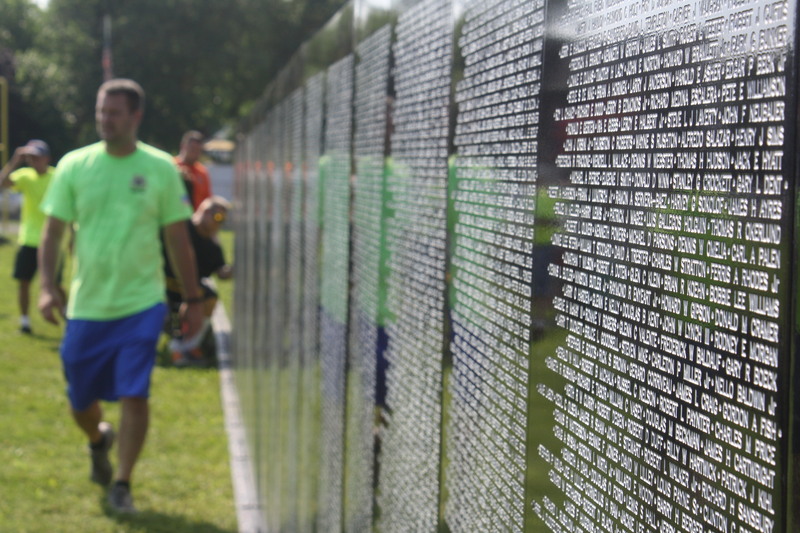 The Wall is a replica of DC's Vietnam Wall War Memorial. The Wall at Veterans Memorial Park was installed in 2003. A list of names on The Wall is nearby. Johns Creek, Georgia will host "The Wall That Heals" Vietnam Veterans Memorial Replica in Newtown Park March 29th - April 2nd. 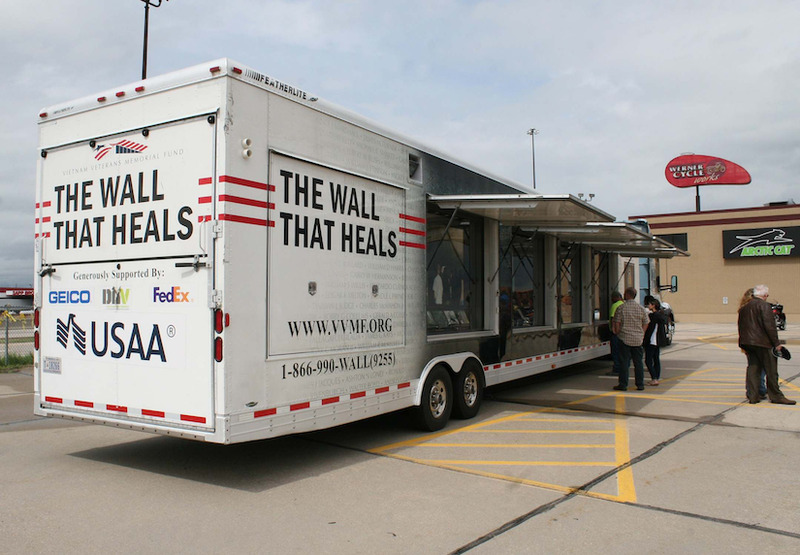 Creatacor was proud to assist The Vietnam Veterans Memorial Fund with "The Wall That Heals" mobile tour, a Vietnam Veterans memorial and education center. The post 2014 Phelps Award Recipient appeared first on Friends of the Vietnam Veterans Plaza. 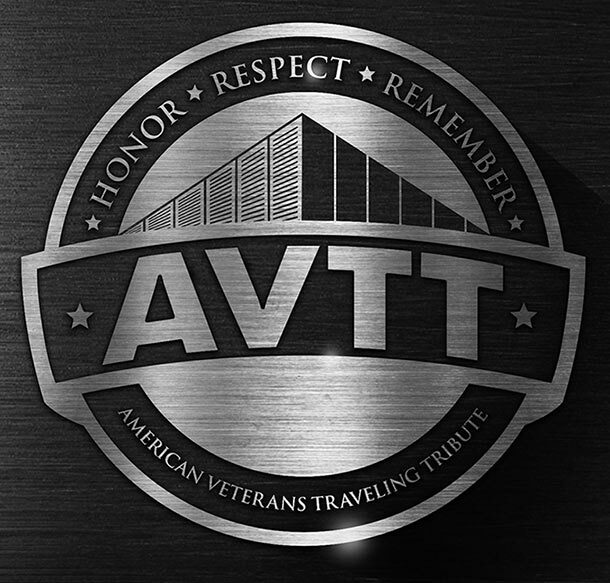 American Veterans Traveling Tribute (AVTT) Custom Builder & Engraver of The Traveling Vietnam Memorial Wall Designer & Builder of The Cost of Freedom Tribute. The post Creatacor Donates Design Services, Labor to Update the “Wall That Heals” appeared first on Creatacor. The post The State of the Wall appeared first on Veterans Memorial Park. DNA and items in a wallet were used to connect a Trenton man to a Falls Township bank robbery, police said Monday. The post Cops: DNA, Wallet Used To Track Down Bank Robber appeared first on LevittownNow.com. 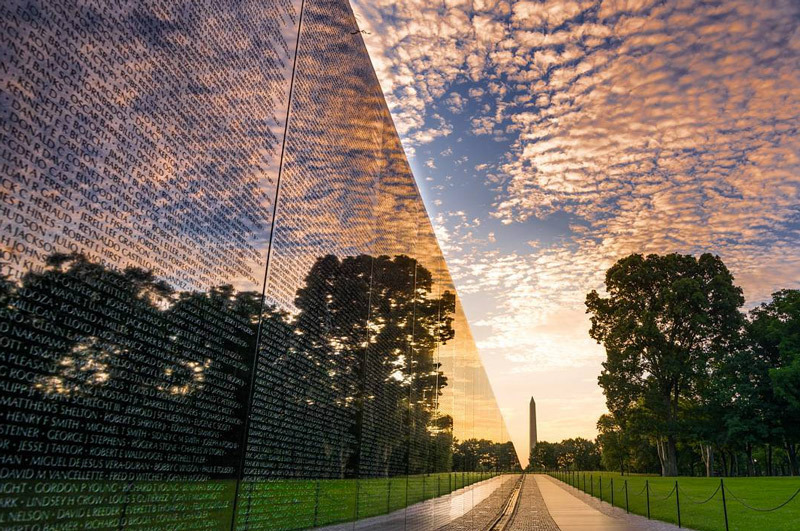 Learn about the Vietnam Veterans Memorial in Washington DC with our complete information guide featuring historical facts, interactive map, pictures, and things to do nearby. The post 2016 Phelps Award Recipient General John M. Keane appeared first on Friends of the Vietnam Veterans Plaza. China to Vietnam Tour: a perfect combination if you would like to visit Beijing, Xian then flying to Hanoi visiting gorgeous clear emerald Halong Bay. The post Run for the Wall 2012 – 11.10.12 appeared first on Veterans Memorial Park. The post 2014 Honoree of the Year Jan Scruggs appeared first on Friends of the Vietnam Veterans Plaza. The Moving Wall also known as the Healing Wall is the replica of the Washington, D.C. Memorial. It travels from city to city being sponsored by different agencies, organizations, and local government. The wall has an opening ceremony on June 22, 2017 at 6:00pm and a closing ceremony June 26, 2017 at 11:00 am. The wall is open 24 hours a day from June 22 thru June 26. Visitors are welcome to come take pictures, write a loved one names, and get information. Docents and volunteers will be present to assist you with locating the names of a loved one. BARBOURSVILLE -- A replica of the national Vietnam War Memorial is making a stop in the Tri-State in late April. The post Memorial Weekend Gathering appeared first on Veterans Memorial Park. Eastland has been selected as one of nearly 40 communities during 2018 to host The Wall That Heals &#x2013; the traveling replica of the Vietnam Memorial in Washington, D.C. The post In Memoriam of Harry Bridgwood appeared first on Friends of the Vietnam Veterans Plaza. Take a look at many of the great sites and attractions you will be able to see on our Daytime Tour. Pay close attention as there are a lot of details that many people miss when they visit our Nation's Capital City. The post 2015 Phelps Award Recipient General David H. Petraeus appeared first on Friends of the Vietnam Veterans Plaza. The traveling half-size replica of the Vietnam Veterans Memorial is coming to Downtown Stockton June 29 - July 3. The post Vietnam Veterans Day Video appeared first on Friends of the Vietnam Veterans Plaza. The post 5 Reasons to Head to SELC’s Championship in Johns Creek This Weekend appeared first on Johns Creek CVB. The Vietnam Combat Veterans memorial known as the Moving Wall, a half-scale replica of the Vietnam Veterans Memorial in Washington, D.C., is being erected at Perry High School and will be open to the public Thursday through Sunday. The post Run for the Wall 2017 appeared first on Veterans Memorial Park. Excerpts of 83 of these letters are etched in the memorial’s glass block and granite wall, 70 feet long and 16 feet high, the Plaza’s heart and soul. 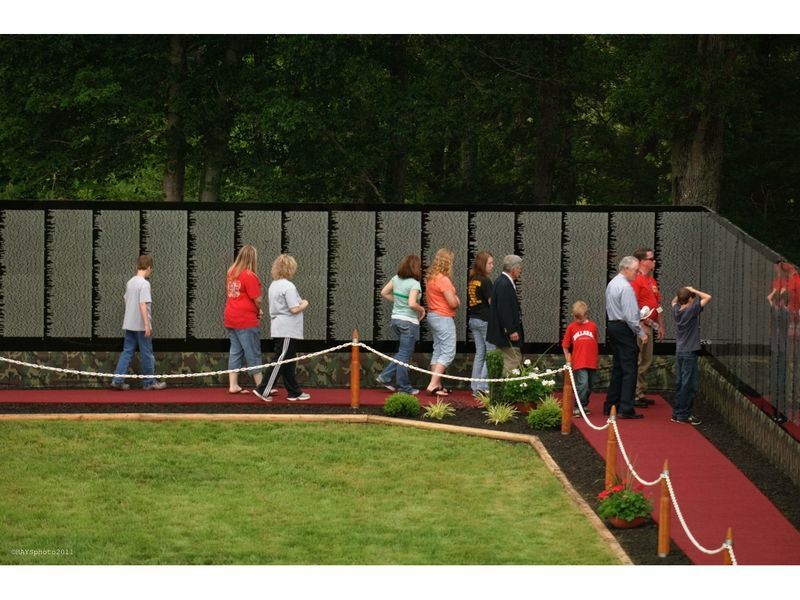 The traveling Vietnam Memorial Wall will be open to the public starting 9 a.m. Friday in Pendel and will be open 24 hours each day until 9 p.m. on Sunday. We are happy to announce that our Vietnam Veteran's Memorial Wall is undergoing a major restoration. Completion is scheduled for late Spring of 2016. We thank you for your patience. The post Memorial Restoration In Progress appeared first on Friends of the Vietnam Veterans Plaza. USA Truck driver and U.S. Navy veteran Mark Buckley picked up the exhibit trailer Sunday and will have it in Bridgeport, Conn., for a May 4 event. The post 2016 Vietnam Veterans Day appeared first on Friends of the Vietnam Veterans Plaza. 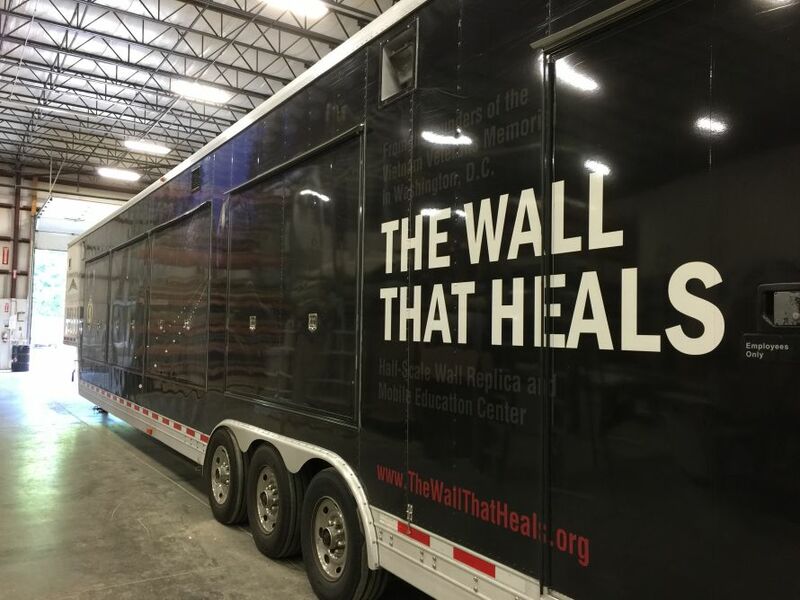 Ohio University’s Athens Campus is one of more than 40 communities on the 2017 national tour of “The Wall That Heals,” a half-scale replica of the Vietnam Veterans Memorial that will be open to the public 24 hours a day Sept. 14-17 at OHIO’s Bicentennial Park. The American Veterans Traveling Tribute Vietnam Memorial Wall is scheduled to make a stop in DuPont. The post Run For The Wall 2011 – 9th Annual appeared first on Veterans Memorial Park. The Moving Wall is a half-size replica of the Washington, D.C. Vietnam Veterans Memorial and has been touring the country for 30 years. The post 6TH ANNUAL BIG APPLE RUN FOR THE WARRIORS® appeared first on Friends of the Vietnam Veterans Plaza. We are delighted that on October 13, 2016 the new state-of-the-art LED lighting system will be illuminated. We invite you to celebrate with us. The post NYC Vietnam Veterans Memorial Plaza Relighting Ceremony appeared first on Friends of the Vietnam Veterans Plaza. If you’re in Winter Harbor anytime in May, check out Beth Parks’ fabulous new show. Vietnam Nurse Beth’s work was featured in our special exhibition last year, “Blood, Dust & Mud,” which remains on exhibit at the Togus VA today. Worth the trip! Congratulations, Beth.